DESPITE Enyimba’s 3-0 first leg win over Etoile du Sahel in Port-Harcourt, chairman of the club, Felix Anyansi- Agwu has said that his players won’t take anything for granted as there is much work still to be done to pick the lucrative group stage ticket. According to cafonline.com, Anyansi noted that they would play tomorrow in Sousse as if they are on level terms with the Tunisian side. “We are happy that we won the first leg but the job is not done yet. We still have 90 minutes to battle out in Sousse (Tunisia) for the ticket. 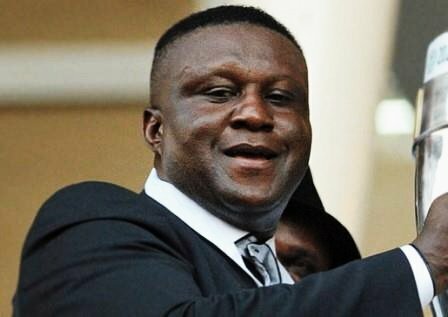 We are not celebrating just yet until we return from Tunisia,” Anyansi told Cafonline.com. “Football is very unpredictable so we are going to approach the second leg as if it is a final. Who says we can’t concede three goals if we fail to prepare adequately. We are going to work round them and be one of the teams in the group stage of the competition,” he added. The reigning Nigeria champions took a giant leap towards appearing at the lucrative group stage of the competition for the first time since 2011 thanks a hat-trick from on-form forward Mfon Udoh. In another development , respected CAF and FIFA Match Commissioner Paul Bassey is in Algeria to superintendent over what is expected to be an explosive return leg match between Mouloudia Olympic Bejaaia of Algeria and Zamalek of Egypt. The North African derby will have Tunisian referees headed by Youssef Essrayi. While flying out aboard Emirate Airlines from Abuja last Friday, Bassey modestly contested the view that he was specifically picked for the match by CAF considering its high risk nature. “……No. I know it will be tough, with Mouloudia hoping to overturn a two goal deficit, but don’t forget that at this stage all the matches are considered tough being the last matches that will guarantee qualification to the group stage “ The Akwa United Chairman said. The match will kick off today (Tuesday)by 18.00 hrs in the beautiful town of Bejaaia home town of Mouloudia.